CML is a malignant, clonal hematopoietic stem cell disorder. It accounts for 15-20% of all cases of leukemia, with an annual incidence of 1-1.5 cases per 100 000. Although CML affects all age groups, the median age at diagnosis for patients not selected by referral is close to 60 years. Clinically, the course of CML is divided into three phases. Most patients will present in the chronic or stable phase of the disease, which, after a variable length of time, progresses through an accelerated phase to an invariably fatal acute leukemia, also known as 'blast crisis'. Patients with CML in the chronic phase may be asymptomatic and up to 50% of patients are identified through routine blood tests. Common presenting symptoms include fatigue, night sweats, and splenomegaly with abdominal discomfort and early satiety. Occasionally, patients may present with a hyperviscosity syndrome, with manifestations such as stroke, priapism, stupor, or visual changes caused by retinal hemorrhage. The white blood cell count in stable-phase CML is usually more than 50 X 109/L at the time of diagnosis, with a range of 20 X 109 to 800 X 109/L. Anemia, proportional to the degree of leukocytosis, is present at diagnosis in 50% of cases of CML. 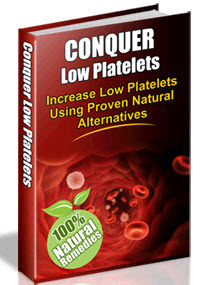 The platelet count is elevated in up to half of patients. During the chronic phase, leukemic cells retain the capacity to differentiate normally with the peripheral blood smear, showing a full spectrum of myeloid cells from blasts to neutrophils, with blasts comprising less than 5% of the white blood cell differential. Basophilia is invariable present and eosinophilia is common. The bone marrow of untreated chronic-phase patients shows hypercellularity with granulocytic and mega-karyocytic hyperplasia, basophilia and fewer than 5% blasts. After a median of 4-5 years in untreated patients, there is a transition from chronic-phase CML to an accelerated or blastic phase. The accelerated phase is a transitional period that is poorly defined. Patients may have progressive splenomegaly, bone pain and/or constitutional complaints such as fever, night sweats, or weight loss. Frequently, the accelerated phase is marked by difficulty in controlling the white blood cell count with standard doses of chemotherapy. Laboratory hallmarks of the accelerated phase that have been correlated with survival of less than 18 months include an increase in the percentage of blasts in the peripheral blood to at least 15%, an increase in basophilia to over 20%, the presence of more than 30% blasts plus promyelocytes in the peripheral blood, or a platelet count less than 100 X 109/L. Approximately 20-40% of patients with CML progress to the blastic phase without an intervening accelerated phase. The transition of CML to the blastic phase is accompanied by the loss of the capacity of the malignant clone for terminal differentiation. Morphologically, the bone marrow of blastic-phase CML resembles acute leukemia, with more than 30% blasts. Approximately 65% of patients evolve to blastic crisis with myeloid blasts, 30% have lymphoid blast crisis, and 5% of cases have biphenotypic, undifferentiated or T-cell blasts. Blastic-phase CML responds poorly to cytotoxic chemotherapy. Median survival of patients in blastic phase is 3-6 months, although patients with lymphoid blast crisis have a somewhat better outcome. Several pretreatment clinical characteristics have been found to have prognostic significance in CML. The prognostic scoring system proposed by Sokal reproducibly segregates chemotherapy-treated patients into high- and low-risk groups for disease progression. Sokal's model identified four independent prognostic factors: (1) older age; (2) splenomegaly; (3) higher platelet count; and (4) higher peripheral blast percentage. Sokal's index is less efficient in discriminating outcome in interferon-a-treated patients. However, a revised score, the Euro score, which also incorporates peripheral blood eosinophils and basophils, can identify risk groups in inter-feron-a-treated CML patients. Whether either of these scores will discriminate among outcomes for patients treated with imatinib is unknown. More recently, there has been increasing interest in using microarray studies to assist in defining risk groups as it is clear that there is significant heterogeneity among patients who present with the same stage of disease. This heterogeneity could be based on the individual genetics of the particular leukemia or on the genes involved in drug metabolism and drug resistance. Radich and colleagues compared a pool of blast crisis samples with a pool of chronic-phase samples and found approximately 500 genes that are significantly different between the two disease states. Blast crisis and chronic phase patients demonstrate clear differences in gene expression, and occasional cases occur in which the clinical and pathological diagnosis is quite discordant from the gene expression pattern.